I saw a Phoenix Wright Ace Attorney manga in a bookstore the other day, and I was excited to purchase it. When I returned yesterday, however, I decided to buy it, even though I haven’t seen what it is about. I felt disappointed when I saw that it was already gone. I have enjoyed the Phoenix Wright game (the first one) and wanted to have more stuff from the series. I am also looking forward for the day that an anime will be produced. Hey, a manga was created, so an anime is not that far away, right? I hope that I can still find a copy. It is a possibility that it was just moved around somewhere. In a way, I also feel happy to know that there are people nearby who also like the Ace Attorney series. But darn it, I want a copy, too! 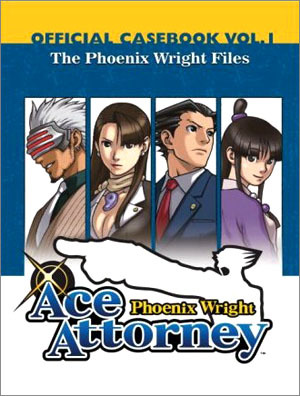 Posted in Feature, Life.Tagged ace attorney, anime, books, facebook, game, lawyer, life, manga, phoenix wright, update.